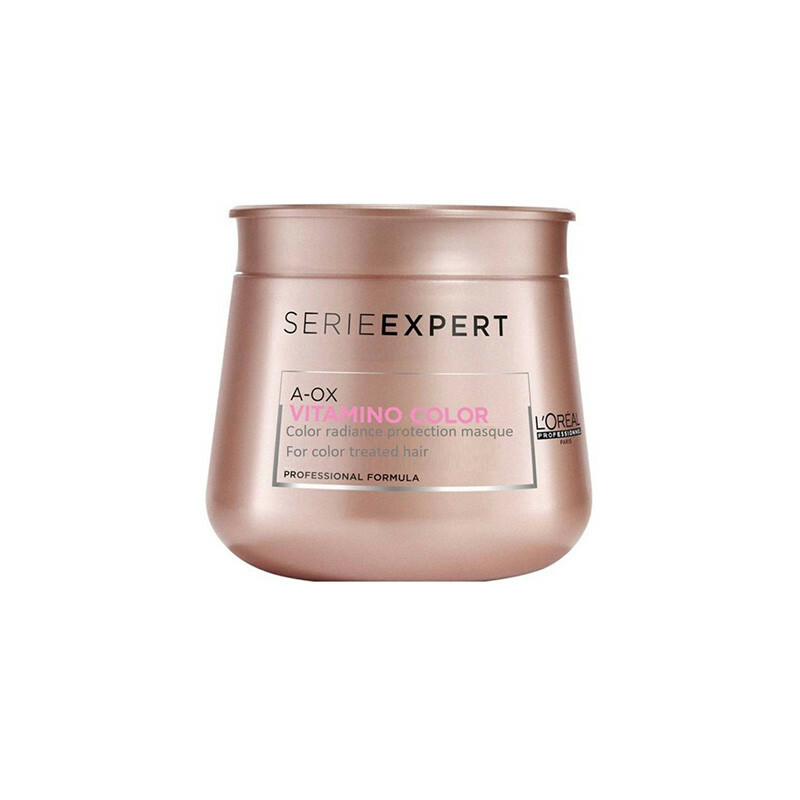 L'Oreal Professionnel Serie Expert Vitamino Color Protecting Masque strengthens colored hair and gives it an intense shine. The nourishing Vitamino-Color A-OX Masque targets weakened and damaged areas of coloured hair and wraps it into a lightweight film to protect against every day wear and tear. Colour-treated hair is intensely nourished and protected in just 60 seconds. The Anti-Oxydant Technology is empowerd by a cocktail anti-oxydant neophesperidine, UV filters and protective effect of tocopherl, panthenol.